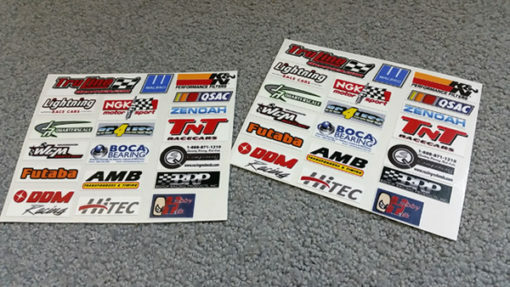 Our quarter scale sponsor packets come with 2 decal sheets; one for each side of the car/truck. These logos are peel and stick and have UV film to protect them from scuffs and the sun. The companies listed are those who support and are dedicated to 1/4 scale R/C racing.